This was my first year to get all dolled up for the Kentucky derby. With two parties to head to, it meant i definitely needed a hat of some sort. I opted on making a fascinator myself. I'd made several in my day, for friends and costumes, so i figured I was up for the task. some hot glue and tulle, and voila! I decided to go with a black and white theme, amidst all the color and craziness that is essentially derby style. 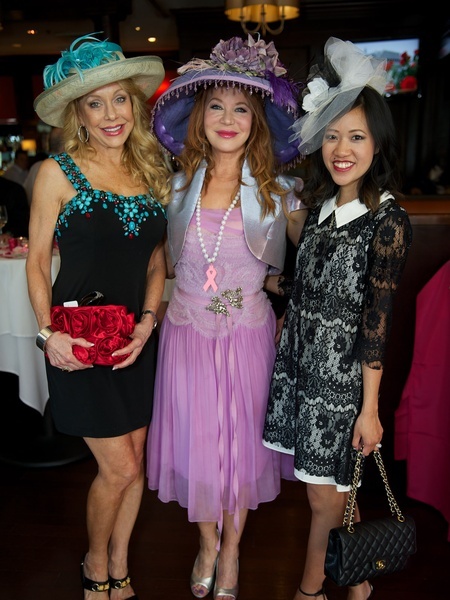 The first event i attended was the 6th Annual Run for the Roses Derby party benefiting the Holly Rose Ribbon Foundation and held at Mo's a place for steaks. It was great experience to check out the local derby fashion scene, exotic hand made hats, in fitted spring dresses and sky high Louboutins. The men were just as impressive in color blocking suits, white pants blue jackets, or khaki suits with pink bow-ties. Truly southern style. The valet was full of multiple Ferrari's, so you knew the crowd was some of the elite in town. 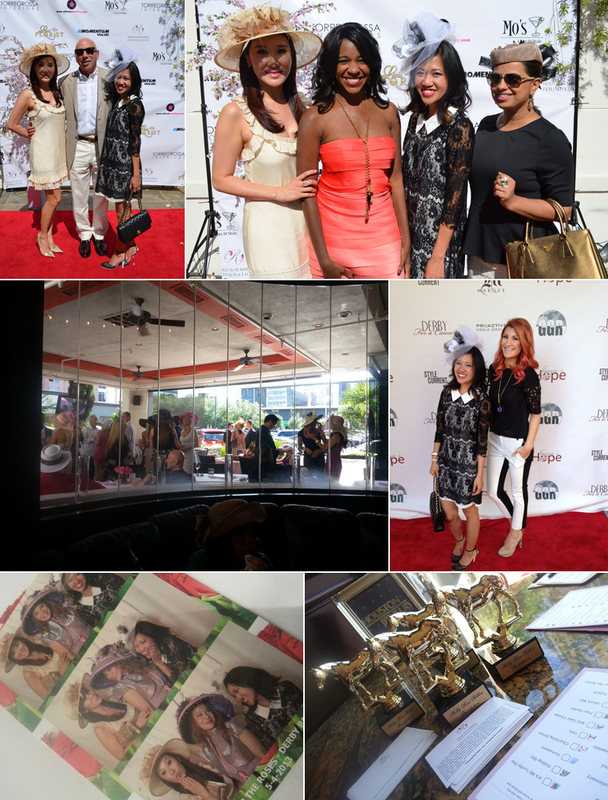 The second event I stopped by was held at the private club The Marque, hosted by Jamie's Hope and benefitting MD Anderson Cancer Center. It was a mixed crowd, but I was mainly there to help out fellow blogger Magen with a fashion show for Cake walk style shop. Thanks Moni for some of these photos! That dress is so pretty! I really like it! amazing derby look! love the lace. Um, how perfect do you look, Issa? I love your b/w and the lace and of course the effing hat! PERRRRRRRFECT! I love. You look so pretty. I love your dress and hat. Derby Day is so much fun. I love all of the events. that is one fabulous dress!! :) perfect for the event!! Wow, this is absolutely stunning. So elegant and lady like. Very Gatsby inspired as well. Thanks for dropping by my blog. Would you ilke to follow each other? you look so elegant!! love your dress and hat!! and it looks like a fantastic event! I love the outfit! So dainty and classy. Ahhh! Love love love it! I love your look! so cute! 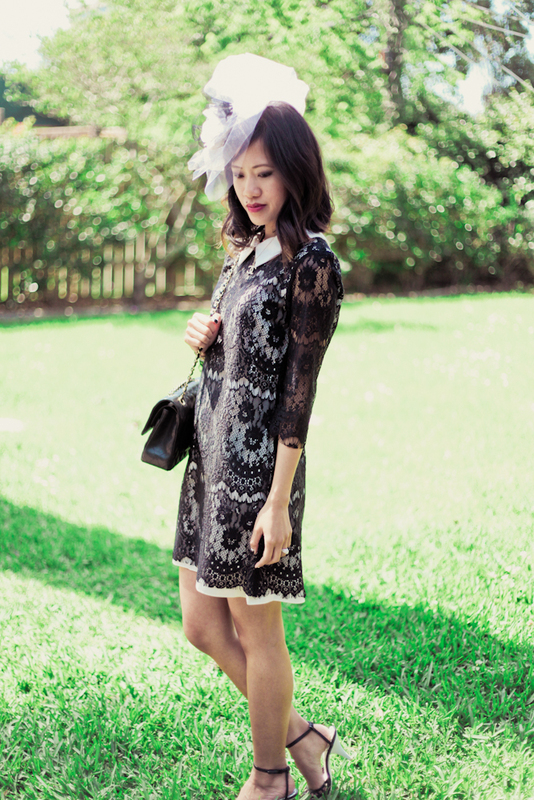 I love your derby look,that lace dress is so elegant and love the head piece too! Thanks for your sweet comment on my blog,if you like,follow on GFC, Bloglovin and like my Facebook page,leave a comment and i'll surely follow back! I love your derby getup. You look absolutely amazing! Gorls in Houston know how to turn it out! You are so lovely. And it doesn't seem like you really even try! I love that. Wow! as in- wow! love all the lace dresses, but I was more stunned with that Modest dresses for women. It has a very amazing design..